The Privy Council judgement in Kodeswaran’s case no doubt offended that influential section of the Sri Lankan (Ceylonese) intelligentsia who firmly believed that their independence and national sovereignty consisted in their freedom to enact laws that are bad, inconsistent and repressive. This was reflected in the early acts of the United Front (SLFP, LSSP and CP) government elected in 1970. Appeals to the Privy Council were stopped by the Minister for Justice, Mr. Felix Dias Bandaranaike (FDB). It was under his instructions that the treasury circular of December 1961 to stop the increments of those who did not pass Sinhalese had been drafted. A new Republican Constitution was enacted on 22nd May 1972 that had removed Section 29 and where Parliament was supreme, so that the courts could no longer reverse bad laws. One could see in these developments an obdurate, rather than a rational, response to the judgement in Kodeswaran’s case. The Republic of Sri Lanka at its very foundation in 1972 was marred by obscurantism, irrationality and intolerance. Instead of solving the manageable problems of the Tamil-speaking minority which existed under the Dominion (Soulbury) Constitution, the 1972 Republican Constitution exacerbated them by removing all tangible checks on the majority group in parliament. The transition from the already questionable quality of reasoning in Chief Justice H.N.G. Fernando’s judgement in Kodeswaran’s case to retired Chief Justice M.C. Sansoni’s reasoning in his Commission Report is a comment on institutional decay in the nation from 1967 to 1980. If the objectivity of Fernando was limited by the Sinhala Only Act, that of Sansoni was limited by the causes of violence advanced in Prime Minister Jayewardene’s deplorable speech in Parliament on 18th August 1977. Looking back, the Sinhala Only Act was another step in undermining the legal tradition, which began with the unconscionable Citizenship Bills. It was one bad law which set the tone for others which followed. What is incompatible with the independence of the judiciary must inevitably degrade the judiciary and lead to bad constitution making. It leads to strengthening the arbitrary powers of the executive at the expense of the people. Once the 1972 Constitution rendered conflict with the Tamils an inherent prospect, the United Front (UF) government became paranoid about everything the Tamils did, like holding the IATR conference in Jaffna, and lost its balance. It gave licence for police action with impunity, resulting in the disastrous event on 10th January 1974. Yet the UF government lacked the crudeness to organise or sanction communal violence. That kept some check on the situation. With Jayewardene and his associates in the UNP being elected in 1977 to take possession of the powers and precedents owing to the 1972 Constitution, communal violence came to be used as a deliberate strategy in dealing with the Tamils. The events of July and August 1977 marked a giant stride towards total impunity. No action was taken even against the individuals identified by Sansoni – e.g. SP G.W. Liyanage, T.D. Gunawardene PC 5920 and Cyril Fernando of Wattegama. There were indeed grave problems in the country. Both the Sinhalese and Tamils had to think about what was happening within their own community and where their leaders were carrying them. The Sansoni Report placed the blame largely on the Tamils and did not allow the Sinhalese to think. Even as the militancy was gaining ground among the Tamils, those who believed in democracy among them remained active. The unofficial citizens’ commission of 1974 presided over by Justice de Kretzer was a prime example of this. It challenged the government of the day and demonstrated powerfully to the Tamil people that there were those outside the community who stood for justice. It was a unique precedent that has since not been repeated in this country. As a guardian of judicial integrity, Justice de Kretzer goes down in the nation’s history as a bright star against a darkening horizon. Civil society in the South is to blame for failing to scrutinise the Sansoni Report in spite of its glaring deficiencies, and allowing it to be quoted frequently and selectively as a piece of impartial history. This silence contributed in no small way towards the worsening situation. By contrast no effort has been spared in discrediting reports of commissions appointed by President Kumaratunga which touched on matters which the ruling establishment found inconvenient. 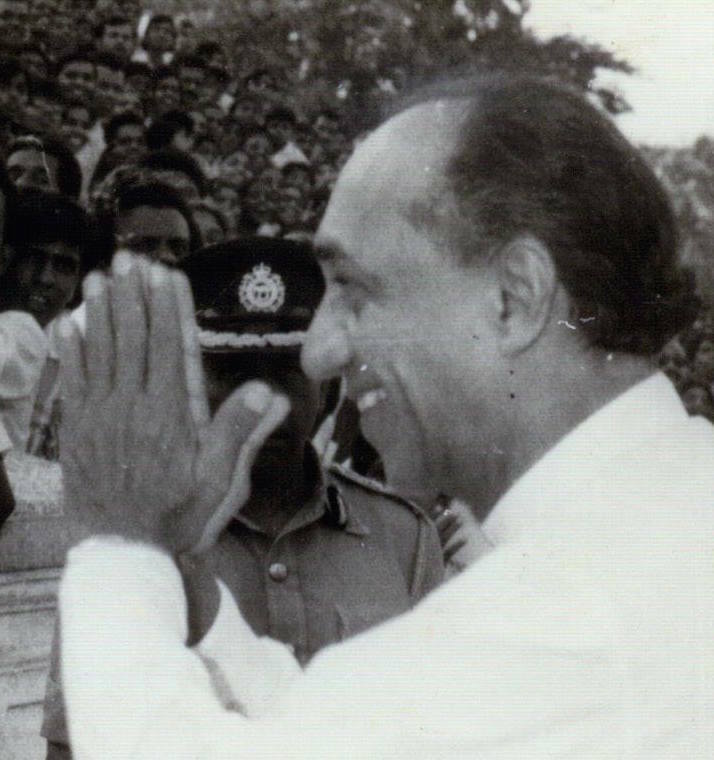 A particular event is symbolic of the manner in which the UNP government under Jayewardene was closing the democratic options open to the Tamil people. The late Mr. K. Kanthasamy had given up his legal practice and attended every one of the Sansoni Commission hearings. His high expectations were disappointed when the report was published. He gave his notes to Mani Underwood, a fellow lawyer who had attended most of the sessions, and arranged for him to write a detailed response. Underwood had also appeared for Kodeswaran under Ranganathan QC in the Supreme Court hearing. 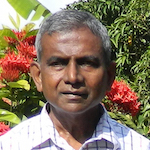 The work was nearing completion when government sanctioned thugs entered his home in Borella during the July 1983 violence and committed his work to the flames. Those who followed the Sansoni Commission hearings to the very end have no doubt that Kanthasamy and Underwood were the real heroes of the day. They stayed to the very end, Kanthasamy briefing Underwood, even as the team of Tamil lawyers thinned down to almost vanishing point. They remember an almost lone Underwood sticking to his post, thumping his fist on the table and going on with his cross-examinations, against well-organised opponents bent on turning the focus of the Commission. One observer compared Underwood with Livy’s legendary hero Horatius Cocles, traditionally of the late 6th century BC. Horatius, first with two companions, and then alone, defended the Sublician bridge across the Tiber into Rome, against the Etruscan army. Kanthasamy, a bachelor who gave everything to the Tamil cause, disappeared after being taken in 1988 by the militant group EROS, for whom the gun had come to mean the sole adjudicator of power. There is another aspect of the Sansoni Report that would strike the reader. It carried Sinhala Only to its logical extreme. On every point where a Tamil civilian overcame his natural fear and gave public testimony that pointed to culpability at the higher reaches of the State, his testimony was dismissed in favour of the official version. Some crucial testimony was accepted when it was backed by Sinhalese, such as GA, Jaffna, and SHS, Jaffna, but nothing more was made of it. Tamil leaders were treated like schoolboy truants. The Tamils had been reduced to ciphers. The violence of July 1983 also served as a warning to many Colombo-based Tamils who had been active during the Sansoni Commission. A particular question would have naturally confronted this country with the coming of the 1980s, viz., had the key institutions of this country – the Judiciary and Police – become too debased to prevent the division of this country? The impunity the Police enjoyed during the communal violence of August 1977 had a disastrous influence on the professionalism of police officers. In time many of them rose to top positions. Another notable attempt to pass off shoddy judicial work as authentic history pertained to the Welikade prison massacres of July 1983. As though it were not enough that the Tamils and Sinhalese should quarrel over ancient history, we were now in a situation of being unable to agree on modern history. The ground was fertile for the growth of a destructive force from among the Tamils, to assert its ascendancy by matching the State in meanness and obduracy. We put you in there,We can remove you,for Good Reasons,Bad Reasons,or for No Reasons! Rajan Hoole says-The Republic of Srilanka,at its very foundation in 1972 was marred by obscurantism,irrationality and Intolerance. Perhaps,ARROGANCE too should be included! This is a very credible historical assessment by Dr.Rajan Hoole which records the deterioration of democratic values in SL. I can remember Mr. Kandasamy with whose work I was associated with telling me “Get back to your country, the Hindians are going to be there even during your grand children’s time” at the time I was in exile and remained undecided about returning home . Mr. Kandasamy returned and there was no protection for him when he was kidnapped by the EROS within a short time of his return. The EROS was the destructive intellectual theoretical arm of it’s military wing the LTTE. The concern expressed by the author about the wide difference of views between the Takils and the Sinhalese on past and present history is totally valid for the future of the country at large. JR presided over all the racial attacks in SRi Lanka except the 1958 one. Everyone knows he failed to even enact curfew for 4 days during Black July. He was a shameless man who tried to blame everyone else except his own thugs like Cyril Mathew and the Sinhala fascists. People got some great economic development during his regime after the pathetic socialist days of queues and ration cards. But no one played the dirty race card like he did. When Parliament brought that oath of loyalty requirement it lost moderate voices of Parliamentary representation by Tamils. Just started reading your series of articles. There is a wealth of valuable information and I am sure many are unaware of such details(including me). Yes Sir, If we do not analyse the root causes of the long drawn ethnic problem no one can give a lasting solution. Hope CT will publish the full series in Sinhala(and possibly Tamil) as the level of understanding of these intricate details is very sparse and minimal. I agree absolutely. Note that you can get at the earlier installments of this fifteen year old book by clicking the appropriate link. There are two other valuable books by him. Essential reading – but painful! Are we not personalizing issues a little? The reason why appeals to the Privy Council were stopped had more to do with the PC letting the 1962 coup conspirators off the hook. The Privy Council riling on the increments was rather wishy washy and not persuasive as in the case of the coup conspiratoes who wer loyalists of the UNP and the Empire where the sun had begun to set.